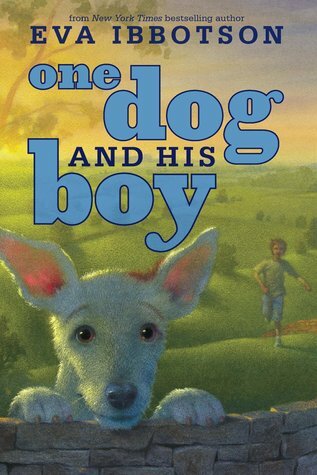 Description: Eva Ibbotson's final masterpiece, a tale of a boy and dog who were meant to be together. All Hal had ever wanted was a dog. "Never!" cries his mother. "Think of the mess, the scratch-marks, the puddles on the floor." But on the morning of Hal's 10th birthday, the unbelievable happens. He's allowed to choose a dog at Easy Pets, a rent-a-pet agency (a fact his parents keep from him). The moment he sees the odd-looking terrier, he knows he's found a friend for life. But no one tells Hal that Fleck must be returned. When Hal wakes up on Monday morning, Fleck is gone. 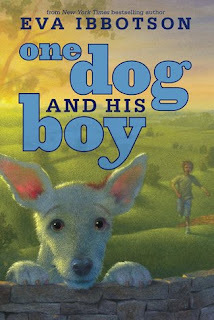 If dog and boy are to stay together they'll have to run away. . . . From the renowned Eva Ibbotson comes her final novel, a tale laced with humor and brimming over with heart, stunning in its beauty of the love of all things dog. Jake's Review: It was a cute story but kinda boring and sad at times. I liked all of the dogs and wish my mom would get us one (mom's note: you have a cat and we have a one pet limit dude) Hal's parents are jerks and make me think that my mom and dad aren't all that bad. There were some funny parts that I liked. I think it would be a good book for kids a little younger than me though, as I figured out things pretty quickly. Mom's Review: A delightfully sweet, yet somewhat old fashioned little story. I can see why some older kids might be put off by the style of story, but I agree with Jake that a younger reader would especially enjoy. Obviously dog loving kids are going to love this quirky adventure story. This would be a good tale for a classroom read and discussion and I will be passing on my copy to Jake's school. There are good messages throughout the story such as money not being able to buy everything, the importance of friendship and that dogs are a truly awesome creatures. I also enjoyed some of the secondary characters laced throughout this charming tale, I found the parents to be almost cartoonish and not enough character development was put into them, but that is my only real complaint.